Some time ago I wrote about Elaine Dundy’s first novel, The Dud Avocado, which I loved. I thought the heroine rather flaky and too inclined towards drink and the wrong kind of man to be completely relatable, but I still loved it as a great comic novel. Because of this, I was sent her daughter’s memoirs, which archly combine Tracy Tynan’s profession of costume designer with the ‘threads of memory’, in the title. I am desperately sorry for Tracy Tynan, daughter of Elaine and Kenneth Tynan (hugely influential enfant terrible theatre critic of the 1960s and 1970s in London and New York), for what her parents put her through. Wear and Tear is in no way comic, and is a bracing restorative to fantasies of the swinging sixties, for what they did to this particular child. At home both parents were ferociously argumentative, violent, screaming and utterly un-self-conscious in their destructive drink-fuelled rages, performing nightly in this way and often with a matinee show as well. Tracy was an only child, and seems to have been brought up largely by reliable but short-term nannies, a doting American grandmother, and steady teachers at her boarding school. She has presumably weathered the damage of her childhood with therapy, which is very apparent in her writing style. She doesn’t quite parrot a therapist’s words, but certainly uses them as if this is how she prefers to talk about her life to strangers. None of this would matter if this Tynan had inherited either of her parents’ writing talents, but she hasn’t. Wear and Tear is a chatty, cheerful memoir of growing up in extraordinary circumstances, but it’s not much more than that, and the prose is undistinguished at best. 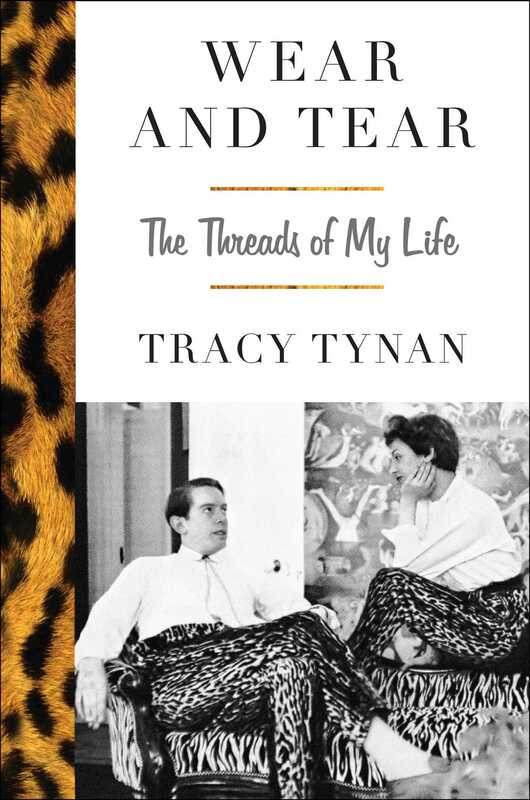 The anticipated readership is muddled: we’re either expected to be Kenneth Tynan groupies, well-cognizant of all that he did, and the landmark works in his career; or we’re expected to be knowledgeable about the LA film industry, in which Tracy spent her career in costume design for (as she puts it), low to mid-budget films, none of which I had heard of, to be ruefully truthful. (She only mentions more well-known films being made, or personalities of the day, when they’re part of her story, and there aren’t that many. Honest, but dull.) What we’re left with, if we’re not interested in either of those subjects, is a memoir of hard-working, unsung film industry workers on the unfamous side of the camera, making do, struggling with budgets, and getting by. It’s not particularly well-written (too often she writes like bad magazine copy), and it’s no more thrilling or interesting than anyone else’s life would be, so why do we have to read it? Because Tracy is the daughter of Kenneth Tynan, and (to a lesser extent) Elaine Dundy, with whom Tracy has very little to do once she left home (quite reasonably: Elaine Dundy seems to have been a horror to live with). The cover image, in their fabulous leopard-print slacks and white shirts, is all about them, not about her. Wear and Tear is a memoir of being dogged by giant demons she can’t get away from, except when she has a career and a family to sink herself into. The giant demons give her masses of indiscreet and fascinating anecdotes about people long dead but still famous. There is nothing of this kind for the more recent past, when Tracy focuses on her own life instead: much less interesting, but a good deal more stable. Read it for the 1960s glamour horror, or for a readable but not exceptional account of an unregarded life in Hollywood.